The plan for man to be join in the union of God was a mystery hidden in the heart of God for ages past. Some of the prophets of old saw a glimpse or a shadow of it but they did not understand. God purposely hid it from them. It was until the coming of the begotten son of God; Jesus Christ that it was fully revealed. His coming put the end to the mystery of God. Christ is the mystery of God (Col 2:2); meaning everything about God; His being, ways and plans can be known because He’s desiring to reveal them to us. Not only that but everything about Man; our existence and created purpose in Him can also be known. We all know the story of how Adam got us into the mess we were in. (We’ll take a detail look into that as we talk about the master plan of God next week.) The effect of that led to the distorted image of man and Christ coming was to show us what man was supposed to look like. Infact Paul actually referred to Christ as the last Adam (1 Cor 15:45). Christ not only came to show us what man was supposed to look like; He became completely man and stayed a man and will be a man forever; putting into effect the process of bringing man into the union of the Godhead. Because from that moment He’s completed and sealed the plan God had to bring humanity into His family. He became the 1st born son of God; the perfect new man in which all of humanity would be re-shaped into His image (Rom 8:29; Col 1:15). 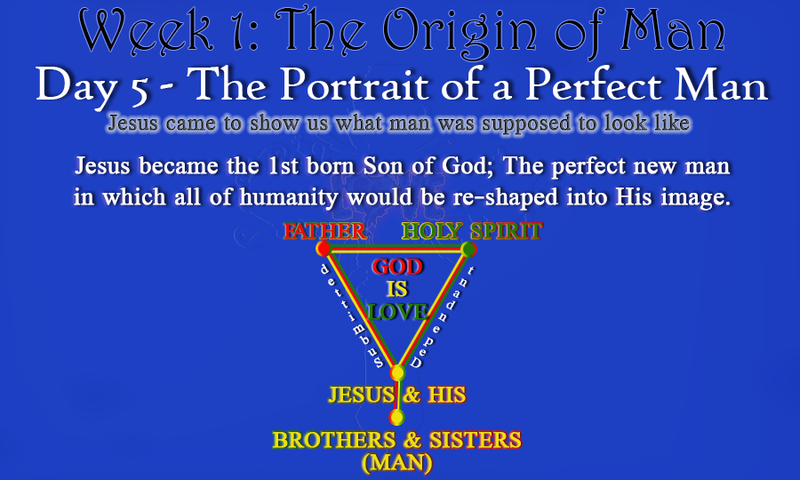 So what does the perfect man look like; well look at Jesus’ life, death and resurrection as portrayed in the gospels. But one thing that summed up His life as a man was, He was 100% submitted to God Father and dependent on the Holy Spirit. Everything, ABSOLUTELY everything He said and did while on earth, He did it as a man walking with God. NEVER once did he say or do anything with His divine privileges (as God); in fact the Bible says He stripped all that off when He became human. ( Phil 2: 7). So let’s take a look at some of the things He said and did that shows that He really did give up his divine privileges when He walked the earth. The obvious attributes of God are being Omnipresent (Everywhere at the same time), Omniscient (All knowing) and Omnipotent (All powerful). Jesus himself said that He does only what He sees His father doing or and says only what His Father tells Him. Which means He relied 100% on His father simply because as a man He couldn’t (or wouldn’t) do them unless the father enables Him through the Holy Spirit, even though the fullness of God dwelt in Him (col 1:19). This is a mystery similar to how God dwell in us today. As a man He couldn’t be everywhere at the same time as He could have when He was in His full glory as God in heaven; He was restricted in His human body. This is so obvious which needs no more explanation. As a man He couldn’t have be all knowing; meaning the things He knew about people such seeing Nathanael before meeting Him or seeing into people’s heart were all acts in which the Father through the Holy Spirit enabled Him to do, just as the Holy Spirit enable people to see visions and into other people’s heart. An example where this became clear was in In Luke 8:43-48 the woman with the issue of blood touch the hem of His garment in the crowd and Jesus couldn’t tell who it was. The only reason He knew something had happened according to His own words was because He felt power being drawn from Him. He couldn’t tell cos the Father didn’t reveal her to Him. As a man, He couldn’t have been all powerful. We saw this during the night when He was arrested in Matt 26: 53. One of the disciples drew a sword and struck the servant arresting Jesus but Jesus rebuked Him And said ”Do you think I cannot call on my Father, and He will at once put at my disposal more than twelve legions of angels?” wait a sec…while would Jesus need to call on His Father to send angels in His time of need… As God couldn’t He just speak the word and all the people would just drop dead? I mean He’s the one who gives breath to every living thing. But He couldn’t cos He’s taken on the form of a man and man does not have that power unless enabled by God. There are other places in the gospels that show Jesus limitation due to his choice to become a man. He is the Perfect Man, and He’s working in you and calling you to be exactly like Him. If He did it so can you because it is God who works in you to will and to act in order to fulfill his good purpose. Today as think about this in fascination and adoration of God; ask Him to reveal more of Himself to you. To strengthen and help you to grow into the person He thought of before he formed you in your mothers womb. To grow in becoming the person, He sees when He looks at you. Jesus, we prayed that you’ll wow us with your being. Give us a glimpse of your glory and majesty and also of Jesus’ humanity. Father, we want to live in fascination of the God-Man; whom you loved from eternity past before the world began because the more we see Him clearly the more we’ll know what we are meant to look like. In your beloved Jesus Name we pray. Amen. 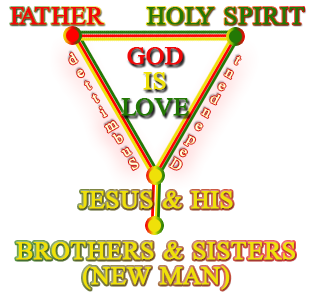 Tags: brothers of Jesus, DNA of God, Jesus the complete man, mystery of God, Union with God, Uniqueness of Man, What is man?